Situated at a height of 2200 mtrs Shimla once the summer capital of British India. Today it is the capital of the beautiful state of Himal Pradash in North India, a land with snow capped Himalayan mountain ranges crossing 6,000 mtr in altitude. 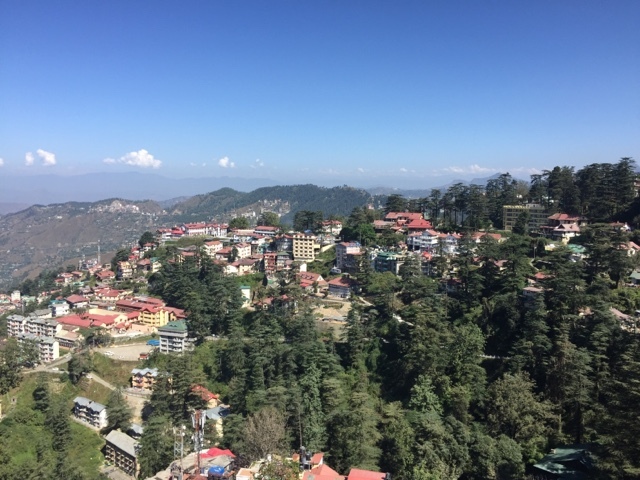 Shimla echoes elegance and charm of an imperial past where Victorys, Nobles and Princes maintained retreats to escape the scorching heat of the plains in summer. 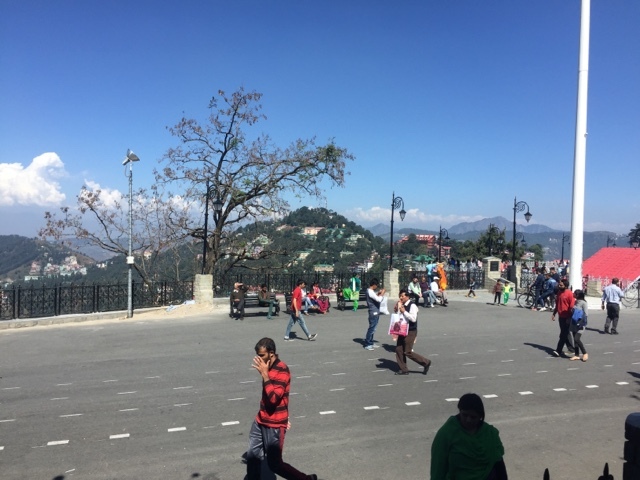 A paradise of recreation Shimla today offers the visitor horse 🐴 riding, hiking, golfing 🏌️ , fishing 🎣 , ice skating ⛸ and skiing 🎿 in winter, at the same time keeping up its old world charm that earned it the now famous title, "Queen of the Hill Stations". 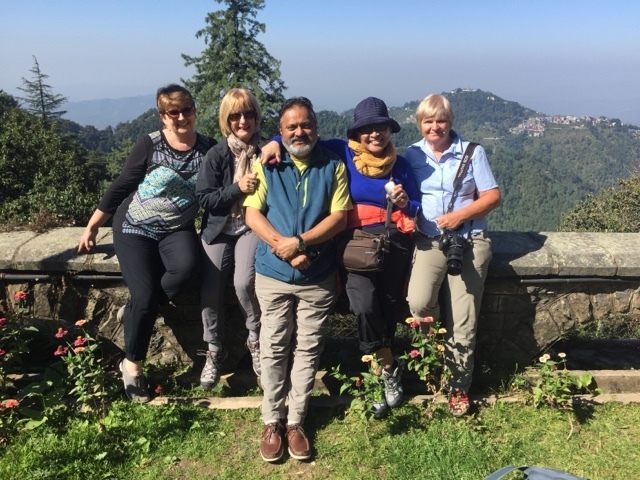 We stayed at a world heritage mansion hotel nestled amongst 150 evergreen pine, this mansion surpasses all Shimla residences in grandeur , dignity and serenity, it is also within walking distance of the town and main shopping street situated on the ridge. 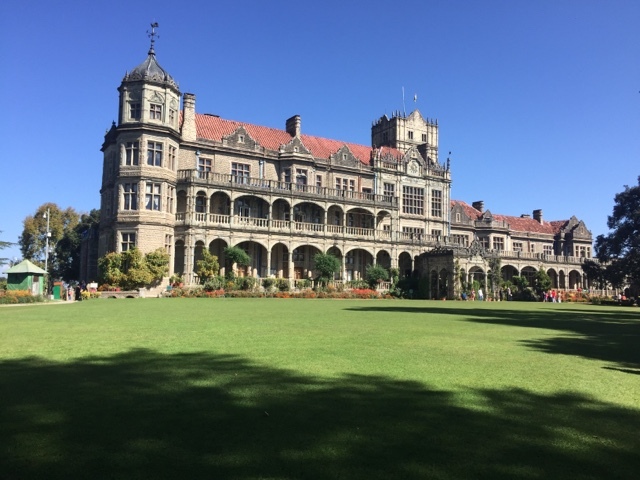 Our sightseeing tour began with a visit to the The Rashtrapati Niwas, also known as Viceregal Lodge, is located on the Observatory Hills of Shimla. 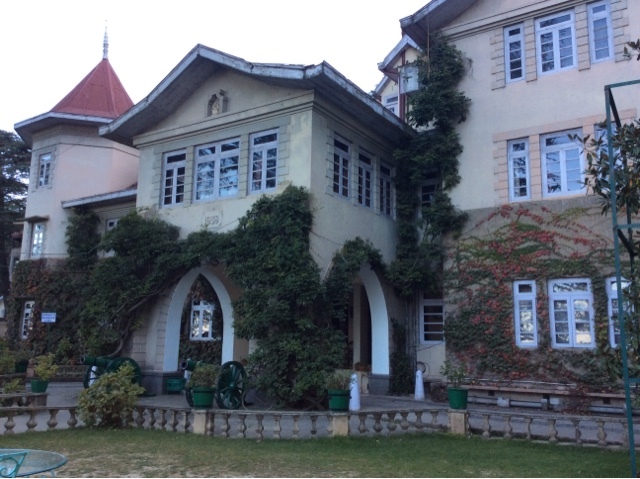 It was formerly the residence of the British Viceroy of India (vice meaning under and Roy in Latin means King). It houses some of the most ancient articles and photographs going back to the times of the British Rule Of India. The Viceregal Lodge was designed by British architect Henry Erwin and built in the Jacobethan style during the regime of Lord Dufferin. Its construction started in 1880 and was completed in 1888. The building was construction from local stone, mahogany timber from Burma and walnut timber from Kashmir, the main dining room ceiling has never been polished or stained and looks as original as when it was constructed. The grounds and gardens are magnificent and during the time of the British rule more than 40 gardeners worked at the Viceregal Lodge. We left our vehicle and went on foot walking along the ridge and narrow road where traffic is banned unless government authorised. Looking out over the hills dotted with light and shade from the pine trees, all combine to produce the most glorious effects. Sitting in the warm sun one could spend hours gazing out at the plains in the distance, with a river flowing through them, at the variously shaped hills in the foreground dotted with the coloured roofs of houses makes for a beautiful scene. We continued walking occasionally stopping to take in our beautiful surroundings, heritage houses, government buildings, until we reached an open area where locals gather with their children. Unusual looking ponies that have their ears close together and nearly touching standing next to their owners waiting for a child to take a ride. We stopped for lunch at one of the viewpoint restaurants where we could gaze at the locals enjoying their last day of the festival.